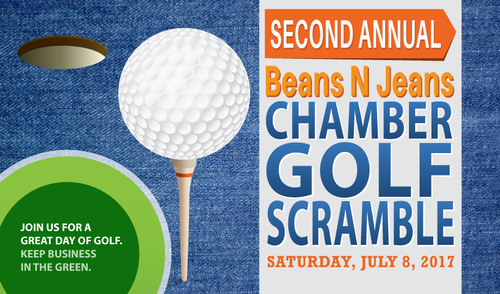 The Second Annual Beans N Jeans Chamber Golf Tournament happens Saturday, July 8th 2017. Compete against your favorite local businesses in teams of 4. New this year - for players that want to network on the green, book in groups of 1, 2 or 3 and we'll match you with other local business people for your team of 4. This event is open to all skill (or lack thereof) levels. 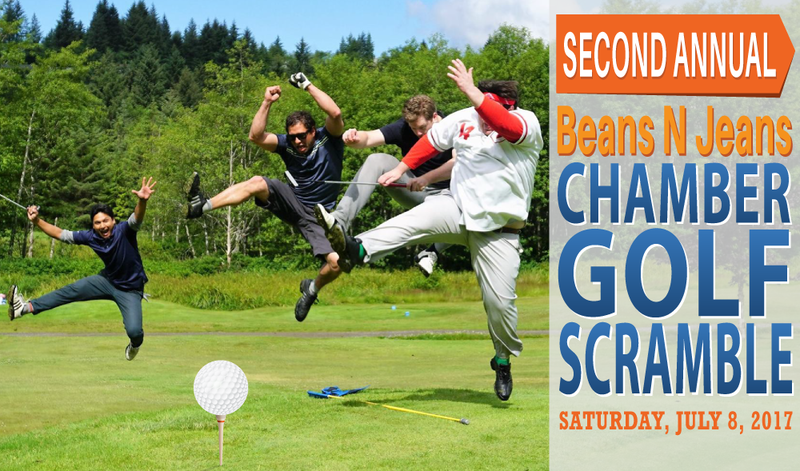 A fun, friendly golf competition with a great dinner at the golf club.